Do your jobs originate from the same pickup point? Have you created a corresponding template? Do you have proper column headers setup? When doing a Batch Upload, all of your tasks must originate from the same pick-up point. Therefore, you are forced to batch upload from a template that has a pick-up point. All tasks in each CSV file must have the same pickup address. If you have multiple pickup addresses, you will need to create a separate template and CSV for each. Under HELP? on the Batch page, click SHOW OUR ACCEPTED COLUMN HEADERS to see the list of acceptable data fields. Add any additional columns needed to your CSV file. Tip: Under HELP? on the Batch page, click DOWNLOAD THIS EXAMPLE and open the downloaded CSV file in Microsoft Excel or another spreadsheet editor. Then simply add / remove the column headers on this example to fit your specific need. 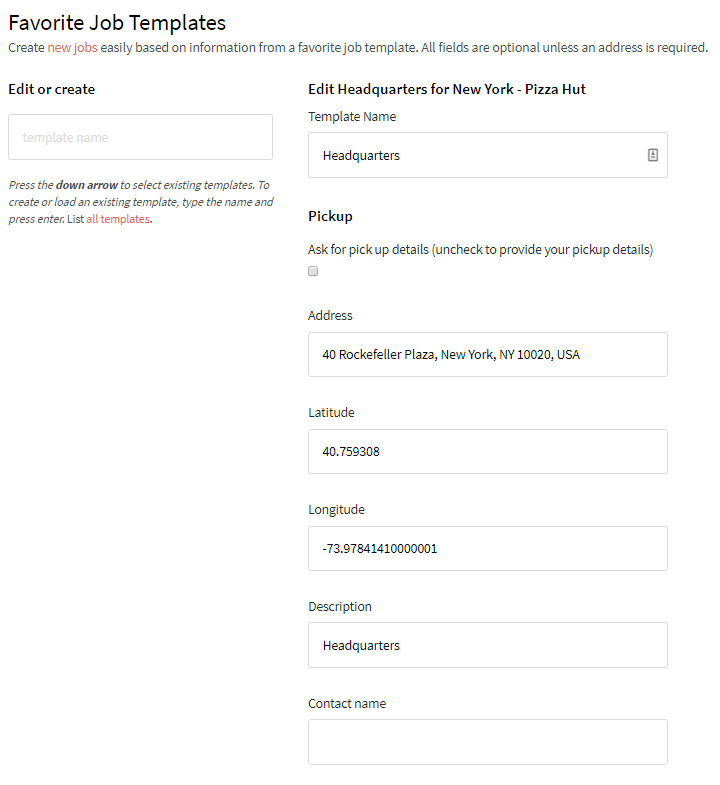 Templates are a great way to save recurring information, such as pickup or destination details. This will help you save time when filling out future task entry forms. You can also choose exactly which data fields in the task entry form are most applicable to your business and hide the data fields you do not need. Once you pick a unique template name, you will see a number of data fields appear on the right. The first ones to consider are “Pickup” and “Destination” details. 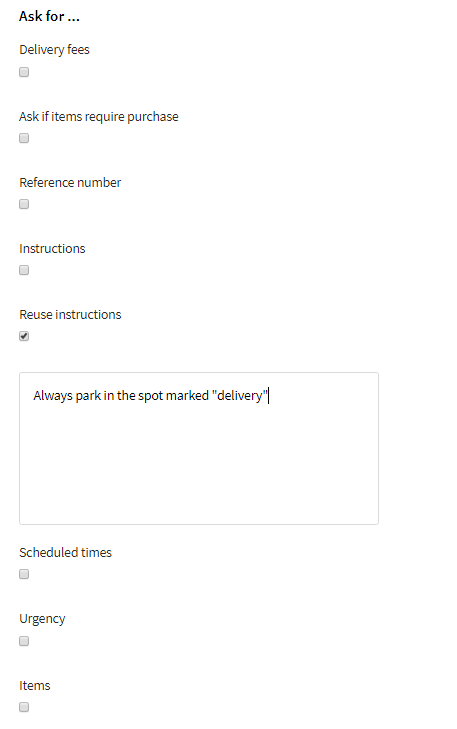 Fill in pickup details: If you wish to use the same pickup address on a recurring basis, uncheck “Ask for pick up details” and enter the pickup address and contact information for this template. 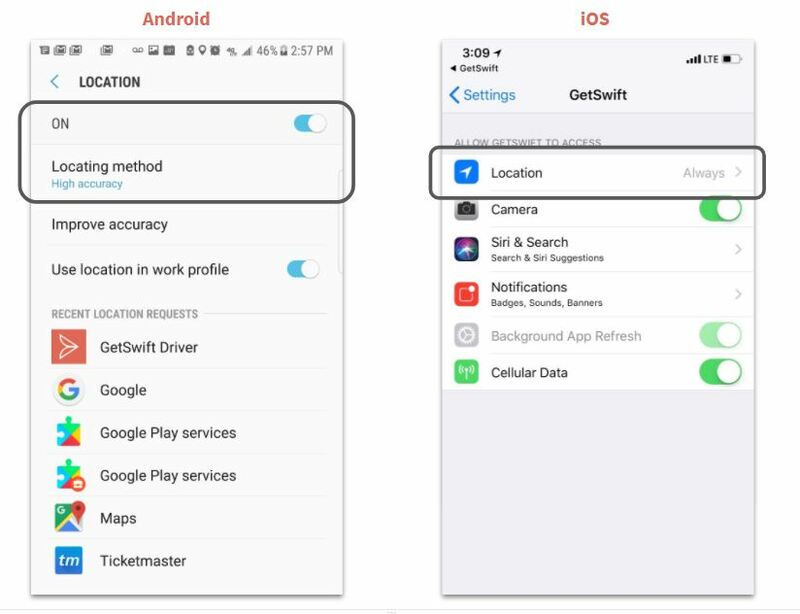 Fill in destination details: If you wish to use the same destination address on a recurring basis, uncheck “Ask for destination details” and enter the destination address and contact information for this template. Lastly, complete the Default Settings section. All of the fields in this section are optional. After making a template, you will no longer be able to use the “Simple Form” or “Advanced Form” and you will only be able to use the templates you have created. Best practice is create a template with all checked options. This will come in handy if you ever need to enter an ad-hoc order that does not fit any of your current templates. You can create as many templates as needed on a ongoing basis! Templates are also required if you are looking to use the Batch Upload feature when entering tasks into GetSwift.